In Huruma slum there is little evidence of Christmas. The occasional carol blasting out of a badly tuned neighbour’s radio is the only reminder of the approaching season. 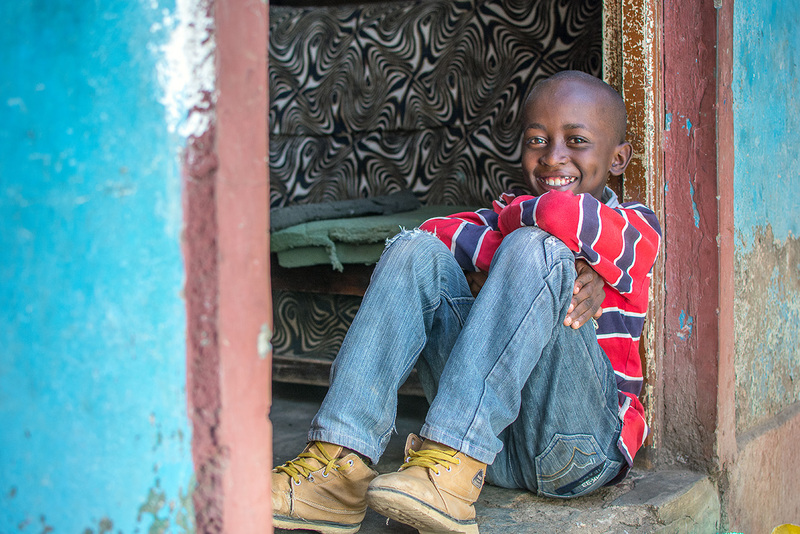 Eleven-year-old Ian came into Philgona’s care after his father passed away and his mother abandoned him. Since that day she’s poured everything she has into caring for her nephew alongside her own two children. 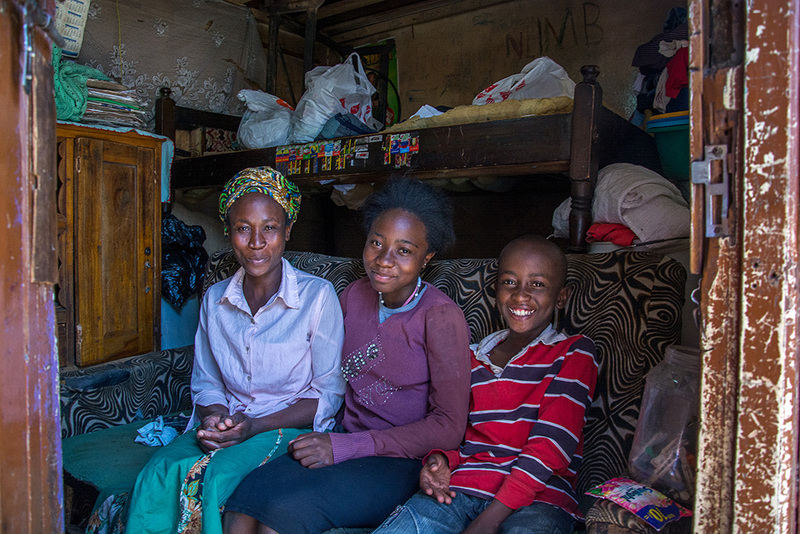 A widow, Philgona took every odd job going to ensure they were all fed, clothed and educated. “My husband passed on after a short illness and his untimely death not only left me distraught and heartbroken, but struggling to fend for my family. As a widow and an unemployed woman the challenges were even greater. At the time I would offer laundry services at a fee. The pay was very little compared to the backbreaking work it entailed,” recalls Philgona. When Ian was registered into the local church-based Compassion project Philgona started to see improvements in their situation. “The church assisted me to start a business through a family gift and my income is now stable,” says Philgona, breaking into a smile filled with pride. 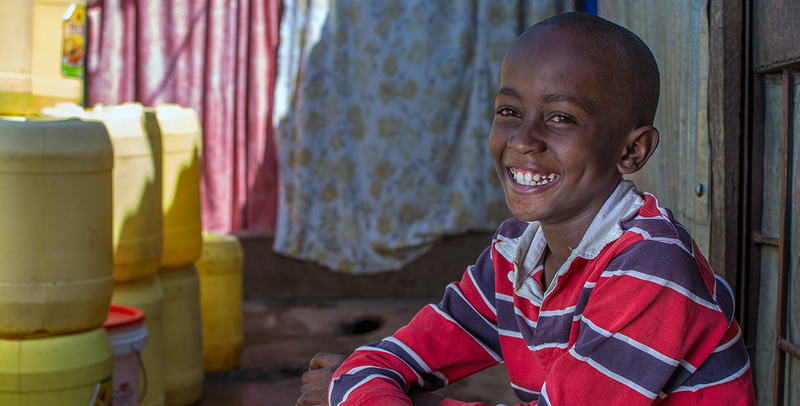 Ian is now a grade six student at Nairobi River Primary School, something his aunt couldn’t have fathomed before he entered the Compassion programme. It’s also thanks to the project that Ian and his family celebrated Christmas for the first time. So how will Ian and Philgona celebrate this year? “[This year] we’ll have a reflective Christmas at home with my kids. We’ll go to church and thank God for the year and then return home, prepare a special feast and celebrate the birth of our Saviour,” says Philgona. 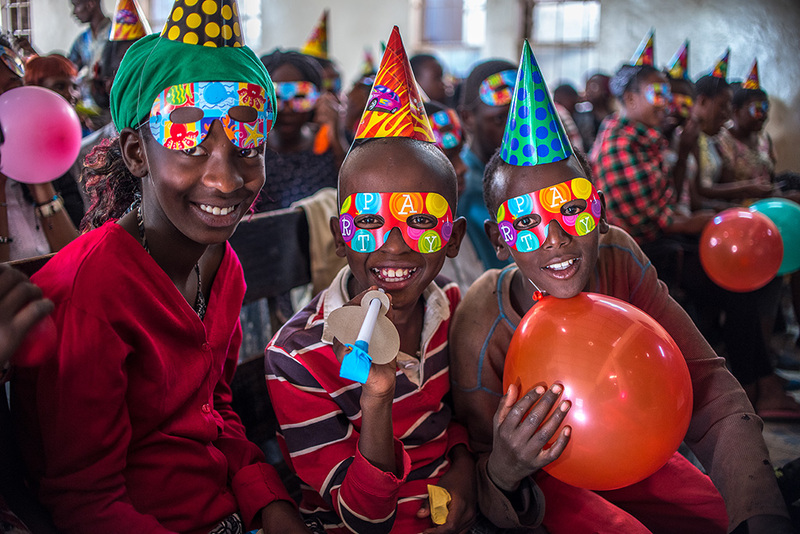 Thanks to amazing people like you we’ll be able to bless Ian and 1.8 million other children this Christmas with a hand-picked gift, delicious festive meal and fun party for their friends and family. There’s still time to donate to our Christmas Appeal and help us bless a child in poverty.